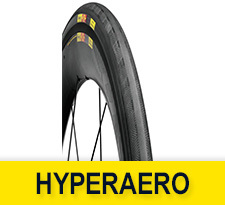 When comes to obtaining the lowest drag ever Mavic offers you the Hyperaero road tires. Hyperaero tyre line features the most advanced technologies and perfectly integrates the wheel and tyre. See the obtained results in the World Tour and triathlon race. 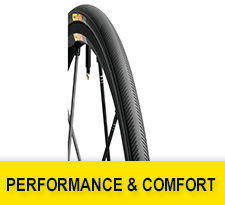 The Mavic tire line Performance and Comfort offers you the perfect blend of light weight, low rolling resistance and great aerodynamics to deliver the highest possible efficiency.